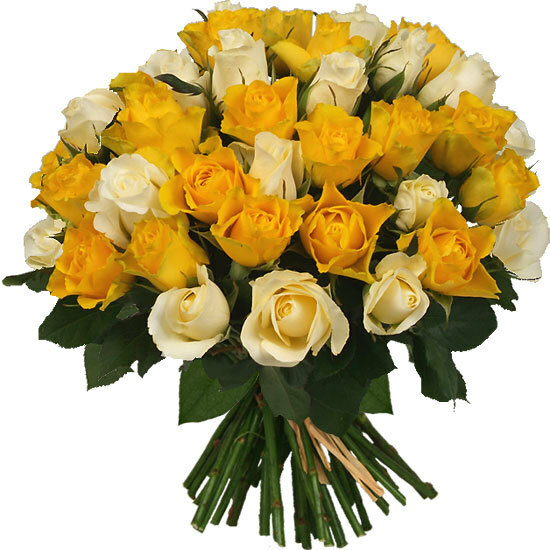 This delightful bouquet of pretty white and yellow roses is perfect for celebrating any occasion. Grown in the open air, the warm sunshine has pampered them to perfection. They will bloom generously and keep their bright colours for many days to come.